Mixed CO2 laser cutting machine is used for cutting thick nonmetal materials such as acrylic, MDF, die Board and Thin metal materials such as 2mm stainless steel, 2mm galvanized sheet. 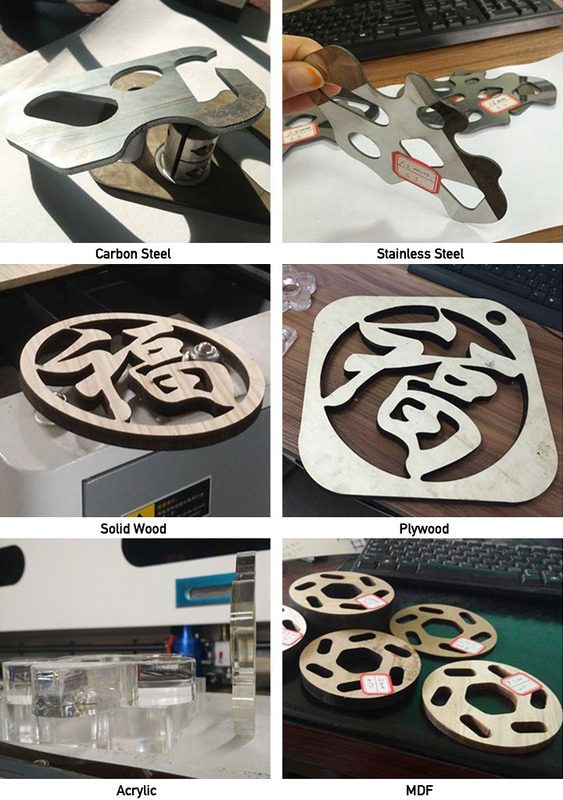 Mixed CO2 laser cutting machine is mainly designed for cutting thick non-metal material, such as Acrylic, MDF, Die Board, and Thin metal materials such as 2mm Stainless Steel, 2mm galvanized sheet. The feature of this mixed CO2 Laser cutting machine is perfect cutting effect and high cutting speed. 1. Advertising industry: Stainless steel. Acrylic plate. color board and other advertising materials engraving and cutting. 2. Leather garment processing industry: Leather, fabric carve or hollow out patterns. 3. Arts and crafts industry: Paper cutting, wood, bamboo, leather, shell, ivory and other materials engraving and cutting. 4. Modeling industry: Aviation and maritime models, wooden toys engraving or cutting etc. 5. Packaging industry: Rubber printing plate engraving and cutting, bilayer plate, dye board cutting etc. 6. Decoration industries: Electrical and electronic industry materials' engraving cutting. 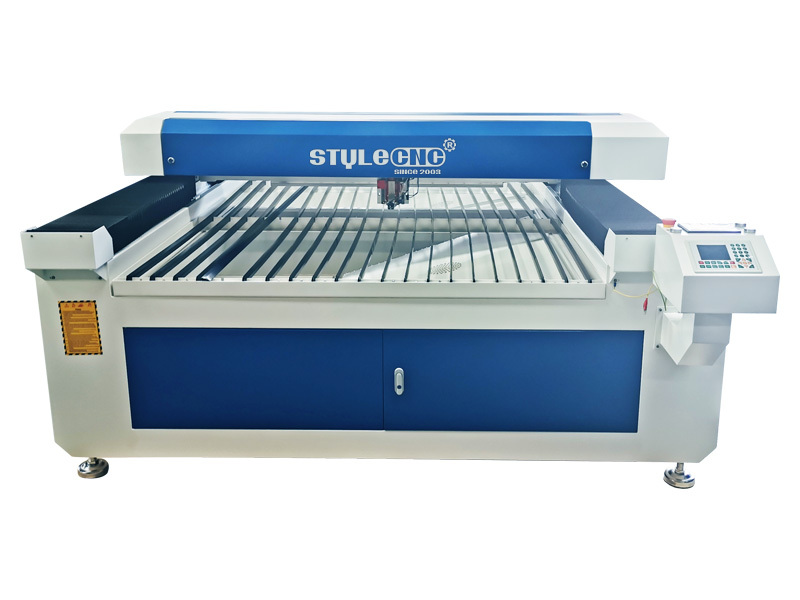 License: The text of "Mixed CO2 laser cutting machine working for 2mm galvanized sheet perforation" by STYLECNC is licensed under a Creative Commons Attribution 4.0 International License.